Peripeteia, the ambitious and reflective third album from Kentucky-based black metal outfit, ANAGNORISIS, will see release next week, and today, the band unveils the title track to the record through an exclusive premiere at Invisible Oranges, who is sponsoring the band’s upcoming tour. ANAGNORISIS’ looming third LP Peripeteia is an honest and passionate autobiography of vocalist Zachary Kerr. The themes in the album have no apparent beginning or end as the record is composed to infinitely loop, repeating the dramatic emotions we all encounter in our own lives. Peripeteia is a story thirty years in the making, told through the heart-breaking lens of audio tapes from Kerr’s childhood, spliced throughout the album. 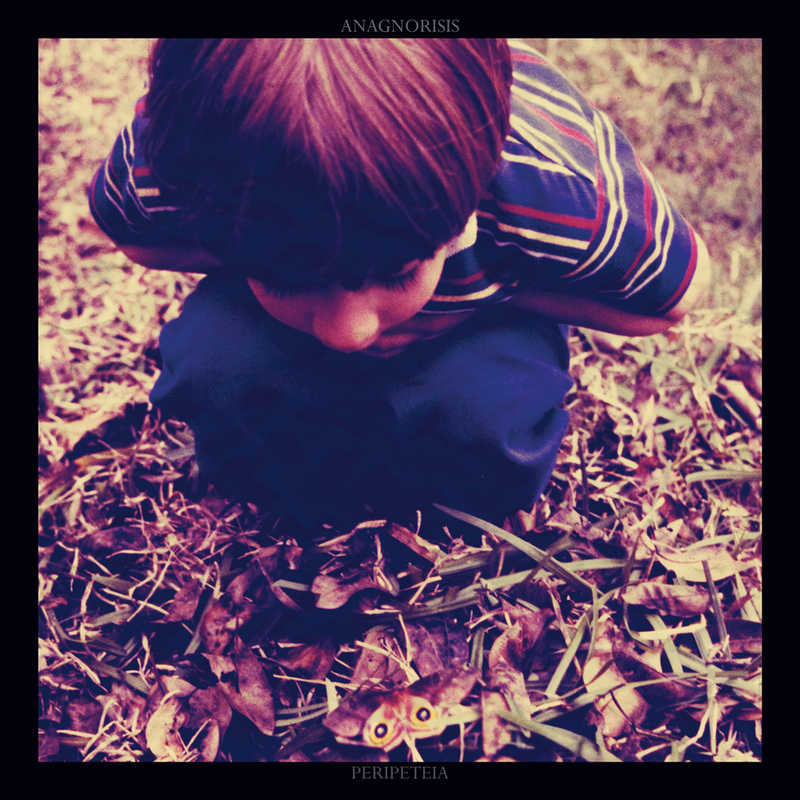 Explore ANAGNORISIS’ “Peripeteia” only at Invisible Oranges RIGHT HERE. The album’s “5306 Morningside” is also playing at Decibel Magazine HERE. 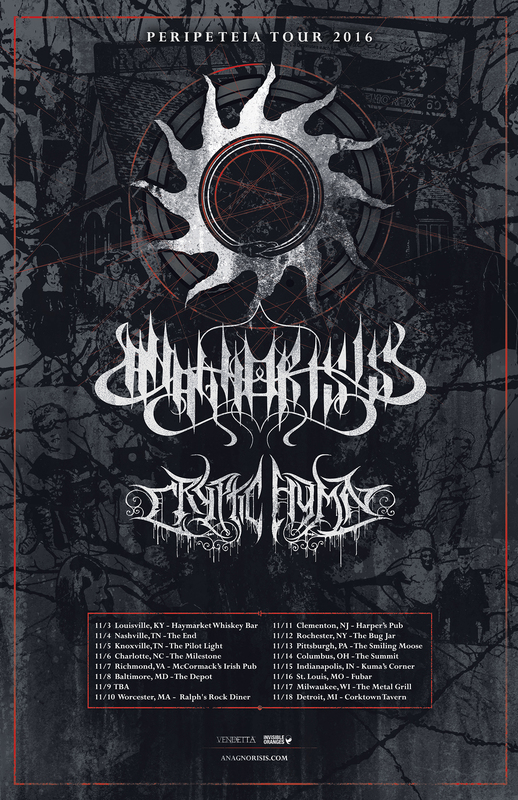 Invisible Oranges is also now the official sponsor of The Peripeteia Tour 2016, which will see ANAGNORISIS hitting sixteen cities across the eastern half of the country in November. Originating in their hometown of Louisville on November 3rd, the trek takes the band through Nashville, Knoxville, Charlotte, Richmond, Baltimore, Brooklyn, Worcester, Clementon, Rochester, Pittsburgh, Columbus, Indianapolis, St. Louis, Milwaukee, and closes down in Detroit on November 18th. Direct support on all dates will be provided by Cryptic Hymn, featuring bassist Josh Mumford of ANAGNORISIS. Peripeteia will see release on LP and CD through Berlin-based Vendetta Records, on cassette through Yehonala Tapes (Europe) and Like Young Records (US). The CD, cassette, and digital versions will be issued worldwide on October 21st; the vinyl sees release November 15th. Preorders for CD, cassette, and digital are available through ANAGNORISIS right HERE, CD and digital preorders are at Vendetta HERE, and cassettes on different colors through Like Young Records HERE. Vinyl preorders go live on October 21st. What started as a cathartic effort by vocalist Zachary Kerr in 2013, with ANAGNORISIS‘ previous LP Beyond All Light, is finished with raw emotion in the form of Peripeteia, which serves as both the prequel (tracks 1-5) and sequel (tracks 6-8) to the critically acclaimed prior release. The new album evolves key musical themes from Beyond All Light in a skillful, operatic way. Black metal continues to be the dominant genre with guitarist and songwriter Zak Denham crafting the music and production of the record. The album is rounded out by bassist Josh Mumford and keyboardist Samuel Hartman, who also contributes alto saxophone to the record. For drums, the group tapped Černá and Boreworm drummer Cody McCoy to contribute.